Puerto Rico is a one of a kind destination, the ideal place to enjoy your vacation to the fullest. Characterized by its epic mountains, serene beaches, majestic rainforests, kid-friendly attractions and delicious culinary delights, the Island has it all! There’s no shortage of incredible places to explore and unique culture to immerse yourself in. Why haven’t you booked your Puerto Rico trip yet? Here’s a list of the top experiences to explore during your visit to Puerto Rico. 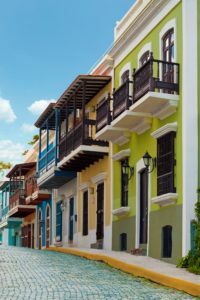 A vibrant gem of history and culture, Old San Juan is a place where massive Spanish-colonial forts overlook colorful homes and plazas filled with music, culture and food. A favorite stop for passengers, this city also offers incredible shopping from luxury stores to local boutiques and street artisans. Puerto Rican culture is a blend of Taíno, African, Spanish & American influences. This fusion extends to every aspect of Puerto Rican life: the cuisine rich with flavor, colorful arts and crafts, soulful music, and traditional festivals. You’ll experience wonderful diversity everywhere you look, listen, and taste. You may be thinking of only mofongo, fried plantains and spit-roasted pork… but Puerto Rico is so much more! 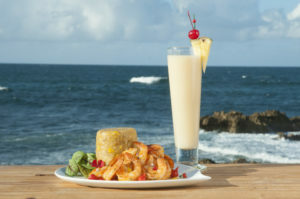 It is the foodie destination in the Caribbean. Whether enjoying a rum tasting tour, sipping a tropical drink at a local hotspot, or eating at a gourmet restaurant, you can expect a scrumptious combination of flavors to delight your taste buds. Want to feel like the star of your own action film? 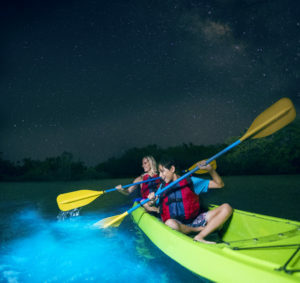 In Puerto Rico, you can zipline above a forest canopy, rappel into a massive cave, and paddle through a glow-in-the-dark bioluminescent bay. 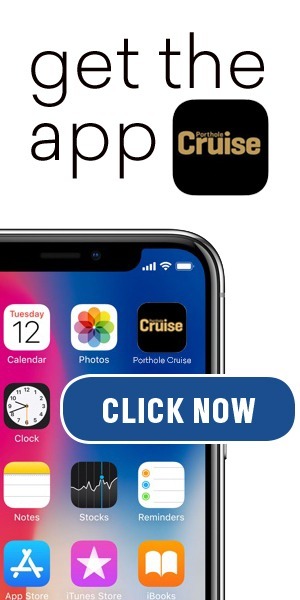 Lust for adventure not satisfied yet? 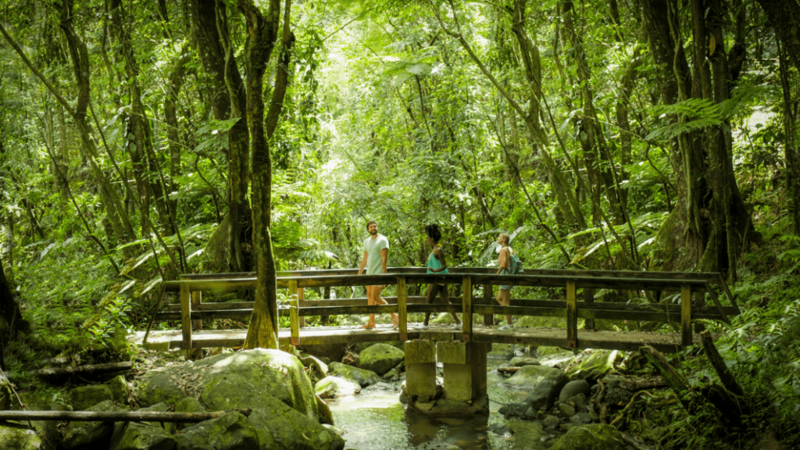 Jumping off a waterfall in the rainforest is just another great way to action-pack your day. The Island is surrounded by more than 270 miles of awe-inspiring coastline with some of the highest-rated beaches in the world. And it’s not just the quantity of beaches that’s impressive, it’s the endless number of activities you can do under the sun, from surfing and parasailing to snorkeling and scuba diving. Known as “The Pearl of the South,” Ponce is largest city on the southern coast. Must-see sites include the Ponce Museum of Art, with the Caribbean’s largest Renaissance and Medieval art collection, the Serrallés Castle, a stunning mansion in the Spanish-Revival style that overlooks the city, and the town of Plaza de las Delicias with its iconic firehouse and historic buildings. Light-up your imagination by experiencing the surreal beauty of our bioluminescent bays. This natural phenomenon is created by tiny organisms emanating a heavenly glow that must be seen to be believed. 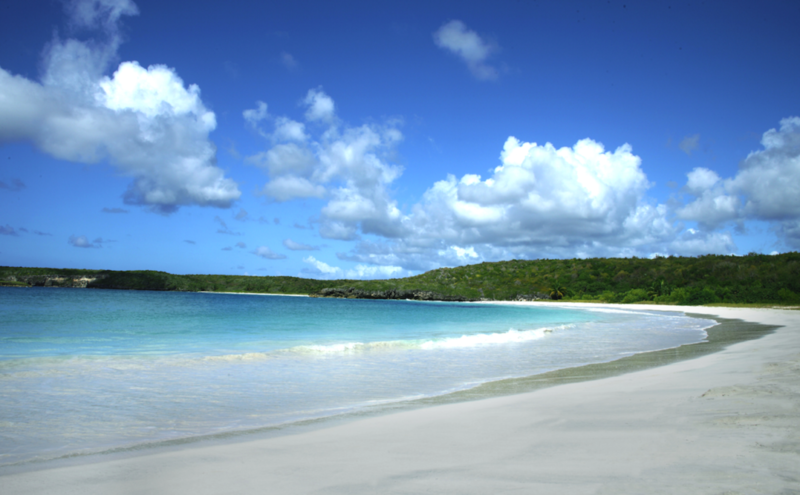 There are only a handful of bio bays in the world, and Puerto Rico is home to three of them: Mosquito Bay in Vieques, Laguna Grande in Fajardo, and La Parguera in Lajas. Looking for a breathtaking new profile picture? This “window cave” offers one of the most spectacular sights in Puerto Rico. The journey to this iconic view is a fun adventure as well, the trained biologists provide guided tours of the natural cave and share stories of the animals, plant life, and history.